Gardening the English Way – Supplier of quality gardening products to get you out there and enjoying your garden! Its official, 2015 is off and running. We are so excited about the upcoming year…all signs show this is going to be our best year yet. We are getting into shape and getting organized here in the office as our busy season (spring) will be upon us in no time. All the cookies and chocolates have been eaten and we are now drinking smoothies and munching on carrot sticks. But what better way to ring in the New Year than by showing off some of our new items. 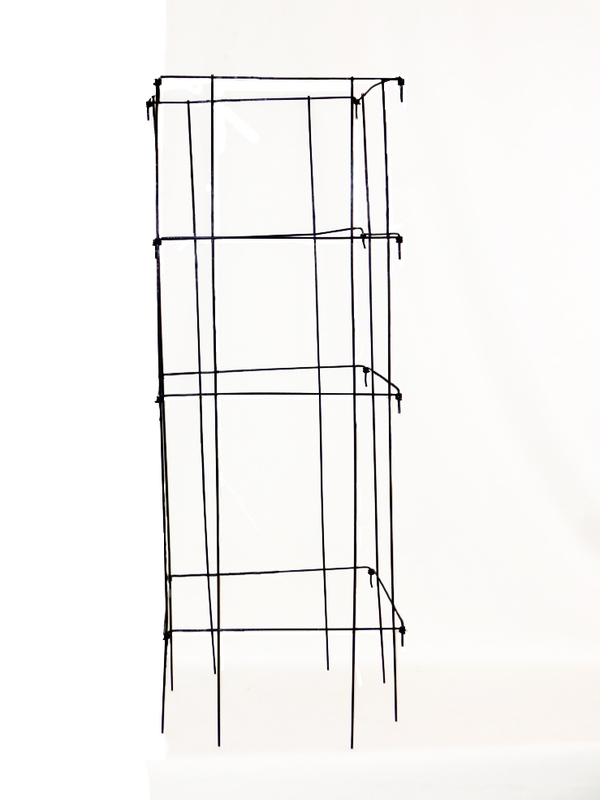 Bosmere Tomato Cage – Holds tomato plants upright and keeps the fruit off the ground. Position the tomato cage in the ground around the new plant or seedlings and it will grow up in the cage with no pruning needed. Can be used year after year. And don’t forget, these are just for tomatoes, they can also be used for peppers and eggplants. Hopefully once spring and summer come, we’ll have some updated pictures to show. 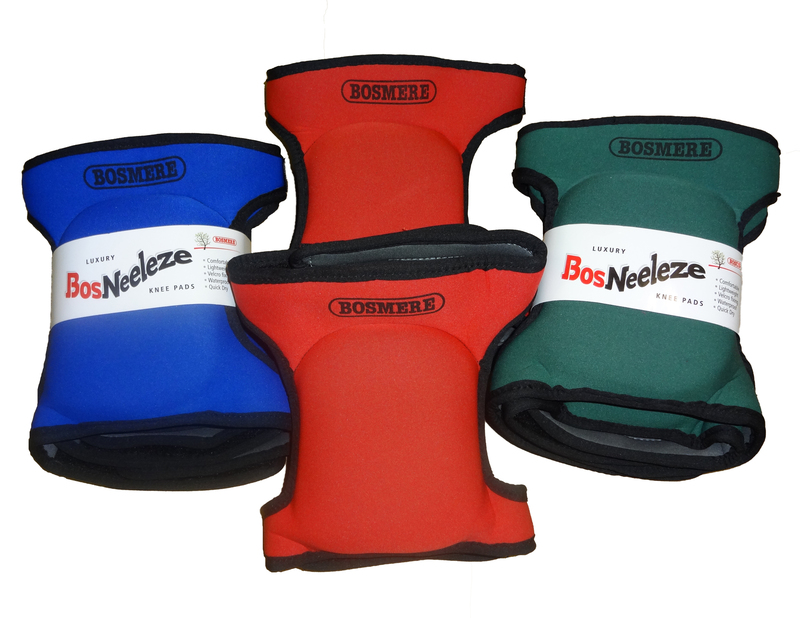 BosNeeleze Luxury Garden Kneelers – The BosNeeleze Luxury Garden Kneeler provides the ultimate comfort to your knees while carrying out weeding, planting and other tasks where you need to kneel down. It is light weight and has a carry handle to make it easy to carry around. It is waterproof to keep your knees dry in wet conditions. It has a durable quick dry neoprene outer skin with a memory foam cushion inner. When it gets dirty you can wipe it clean with a damp sponge. They come in lime green, red and blue. 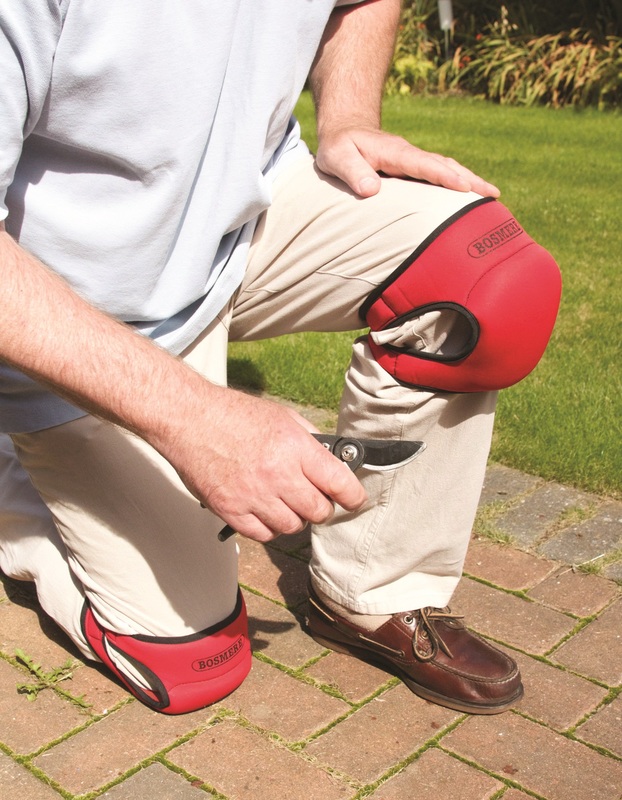 BosNeeleze Luxury Knee Pads – The BosNeeleze Luxury Knee Pads conveniently protect your knees and clothing while carrying out weeding, planting and other garden tasks where you need to kneel down. They are light weight and easy to put on. They are waterproof to keep your knees dry in wet conditions. 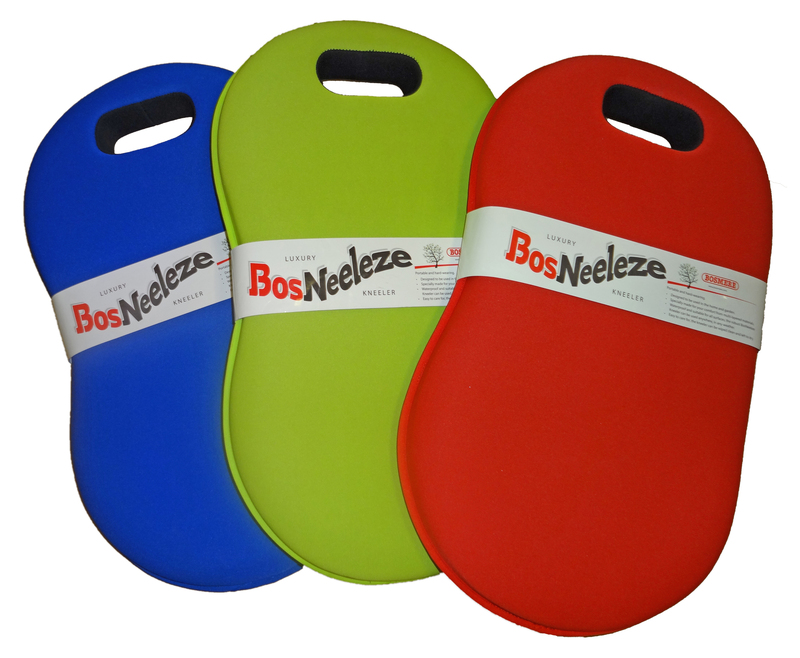 They have a durable quick dry neoprene outer skin with a memory foam cushion inner for ultimate comfort. When they get dirty you can wipe them clean with a damp sponge. They come in green, red and blue. Pop-Up Bag (Medium) – We already sell these bags in a larger size and now are offering a smaller size…and technically this more of a re-launch than a new product. These bags get their name from the fact they “pop up” and are ready to use in seconds (don’t worry it’s not the same pop you get from opening a can of biscuits). When you are finished, the Pop-Up Bag can be pressed flat and closed with toggles on each side so you can store it flat after use. Has a washable inner surface, which always comes in handy. Made of tough woven PVC-coated polyester with heavy duty webbing handles and binding. 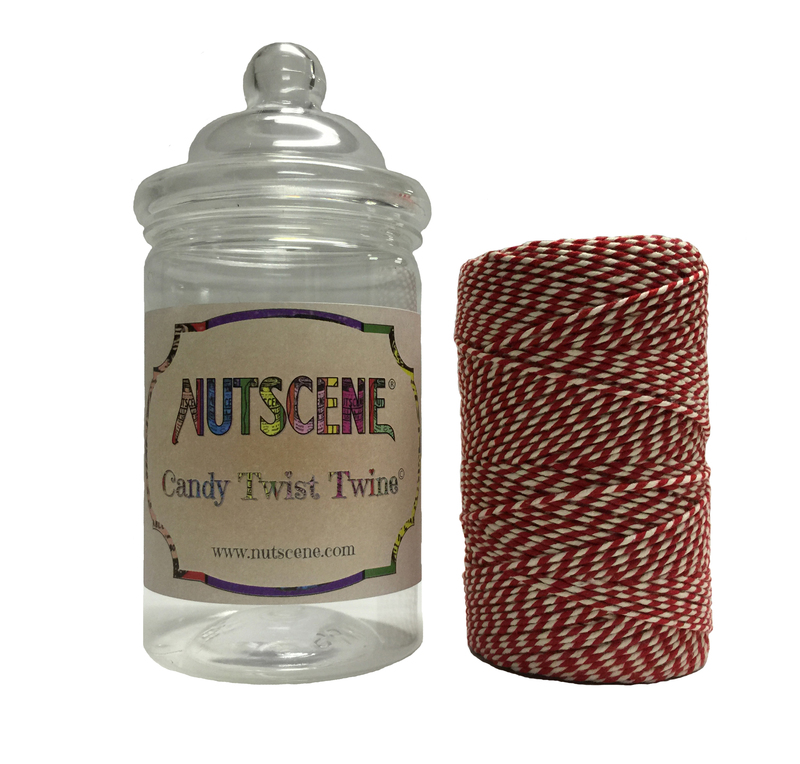 Nutscene Candy Twist Bakers Twine – Historically, baker’s twine was used to tie up packages and boxes of pastries, cakes & loaves at the baker’s shop. Today they are brilliant for craft projects, gift wrapping, household or even garden use. These twines are soft and easy to handle, made from 100% cotton and made in the United Kingdom. Nutscene Baker’s twine is a great thickness and not thin & spindly like others on the market. 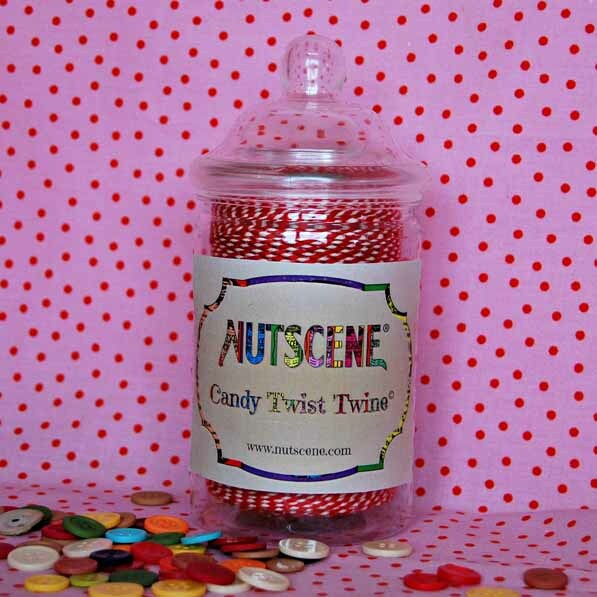 Nutscene’s bakers twine comes in a reusable plastic “candy” jar. Each spool is approximately 100 yards / 328 feet and comes in 3 different color combinations; red & white, blue & white, and red & pink. Add some to your stash! 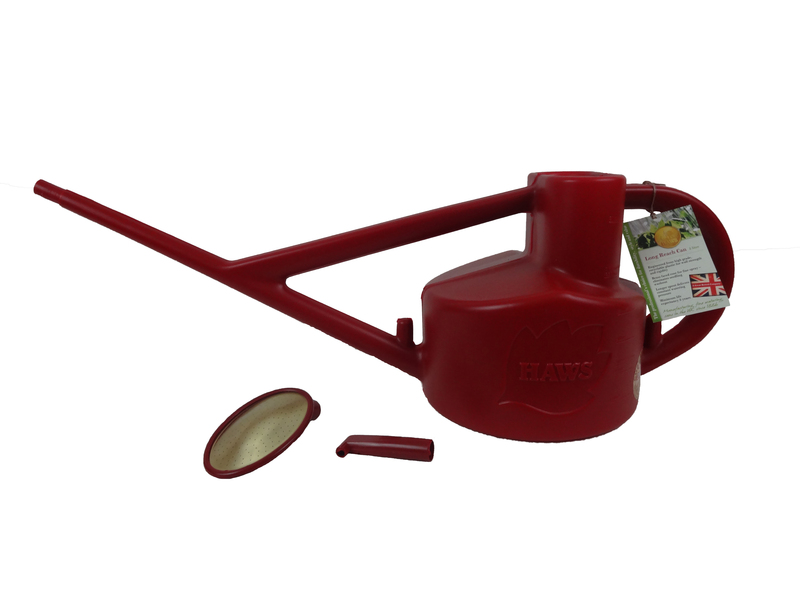 Haws Longreach 5L Outdoor Plastic Watering Can in Red – We already sell this in Green, but are now offering it in Red. This well-designed plastic watering can has 2 handles for balance and effortless watering. The tall neck prevents water from spilling out when it is tipped forward and the extra-long spout is useful when watering hard-to-reach areas. The can comes with a removable plastic-backed oval brass rose and an additional plastic downspout that directs water into pots and planters. The watering rose can be pointed upwards for a gentle spray or downwards for a heavier spray. Handy “parking points” store the rose and downspout when not in use. 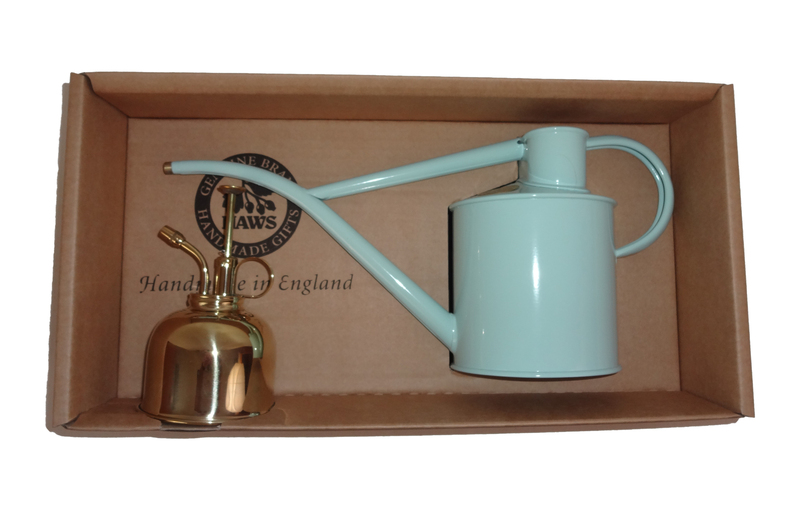 Haws Pot Watering Can and Brass Mister Gift Set – A little history on this Haws; Haws watering cans have been a fixture in English gardens since 1886, the year that Londoner John Haws patented his unique design for a “watering pot” with perfect balance. 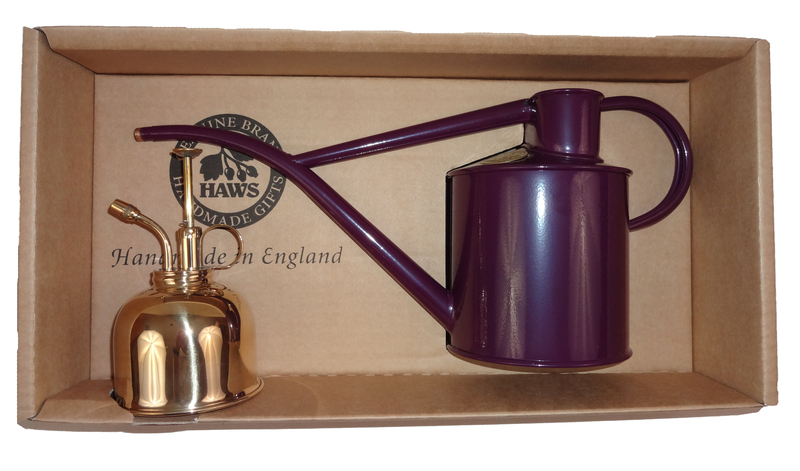 Over the last 125 years the Haws name has become known as the makers of the finest watering cans used throughout the world. This watering can is made of galvanized steel with a tough powder-coated finish. The two handles ensure the can is perfectly balanced no matter what the water level is inside the can. The curved spout is tapered to ensure that the water is directed to where it is needed and at a gentle rate so that the soil does not wash out. The spout is fitted with a brass rose, which can be removed for the more accurate watering of indoor pots and planters. The Haws Mister is made of brass throughout and helps keep plants and flowers healthy and beautiful. Comes in an attractive gift box. 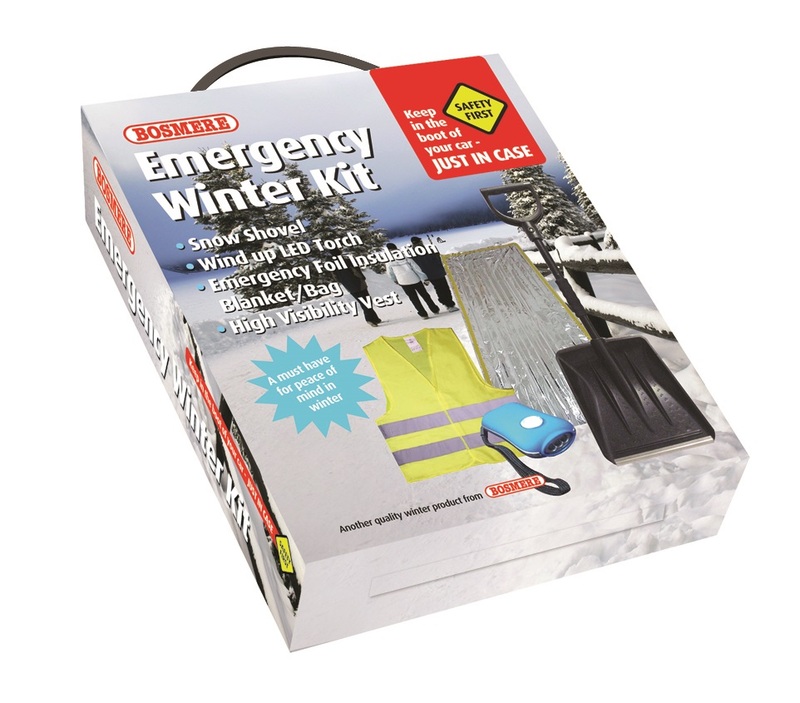 Emergency Vehicle Kit – Designed to be kept in a car, the Bosmere Emergency Winter Kit contains essentials you will need if you are stranded in the depths of winter. 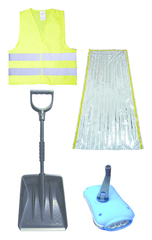 The kit contains: snow shovel, wind up LED torch, an emergency foil insulation blanket/bag, and a high visibility vest. A must have for peace of mind in the winter. 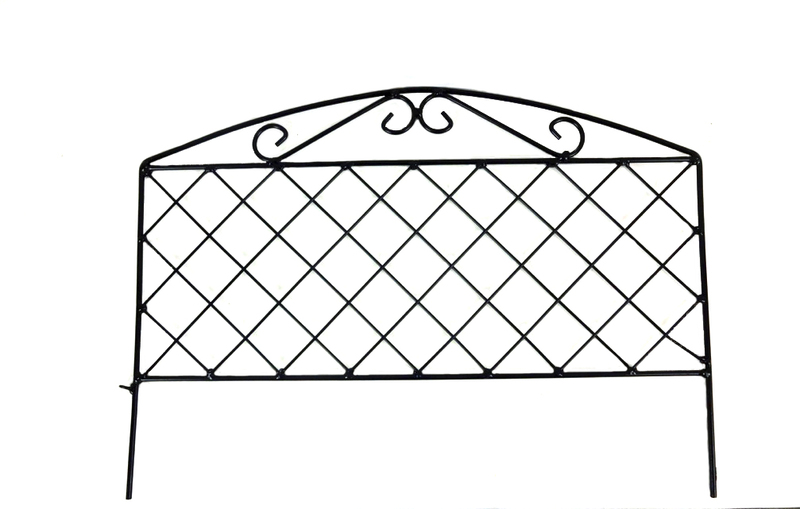 Bosmere Path & Border Fence – The Bosmere Path & Border Fence with its traditional European inspired design, is made from strong, black plastic coated steel bars. Has spiked feet for easy installation. Panels can be linked together to create an attractive border. 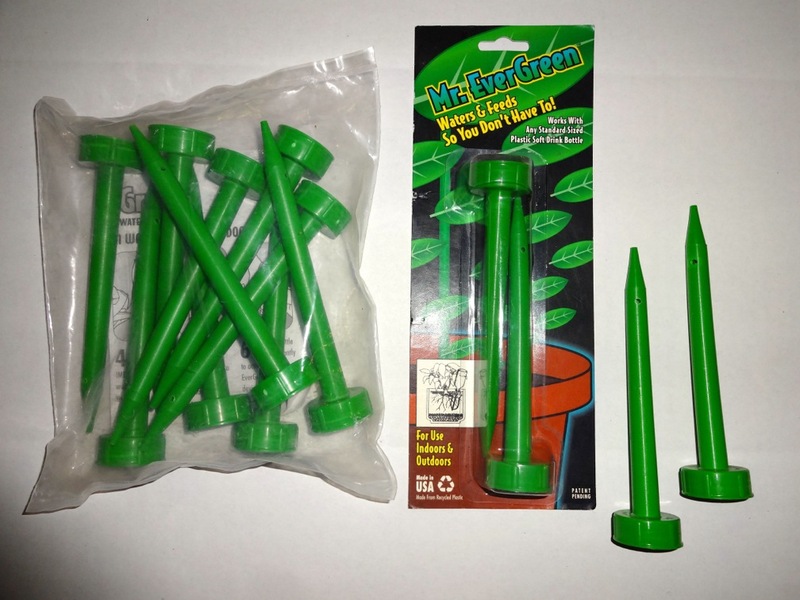 Mr. EverGreen Watering Device – Great for keeping your potted plants watered. Fill a 20oz plastic soda bottle with water and screw on the Mr. EverGreen spike securely. Check to make sure you’ve got the watering spike on security by holding the bottle with watering spike pointing downwards. If no water comes out you’ve done it right, if water is coming out, tighten the cap on the bottle. Push the spike attached to the bottle of water into the soil besides the plant. Squeeze bottle gently to activate your Mr. Evergreen watering device. Works like a charm! 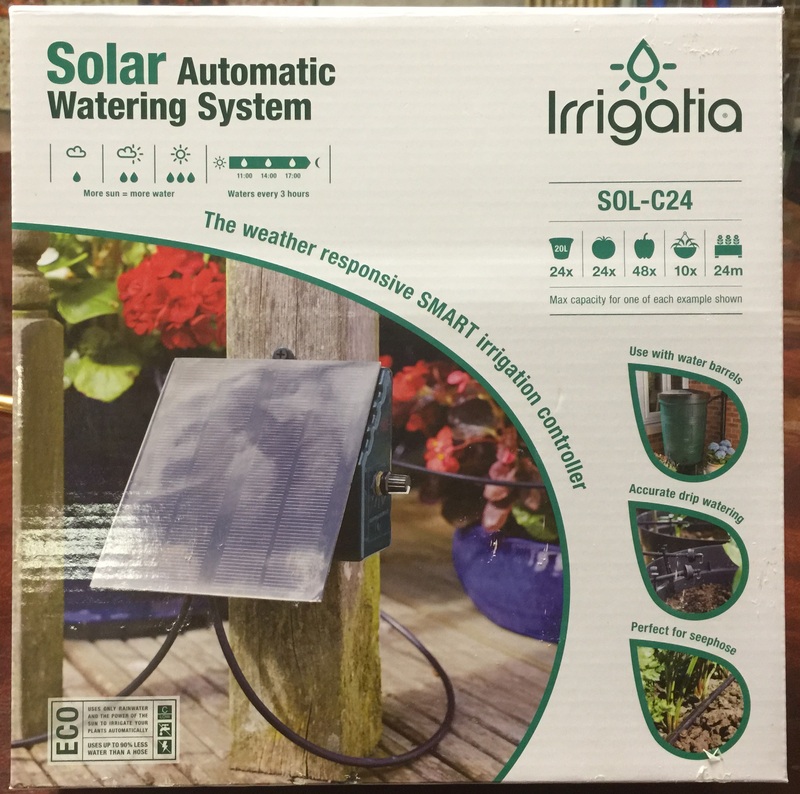 The Irrigatia Solar Automatic Watering System – Works with your current water barrel to water your plants automatically with minimal supervision. Uses solar power to detect the weather and alter watering according to the conditions and the season. Easy to install and set up, this unit will water either 10 large hanging baskets or 24 x 3.8 gallon pots. 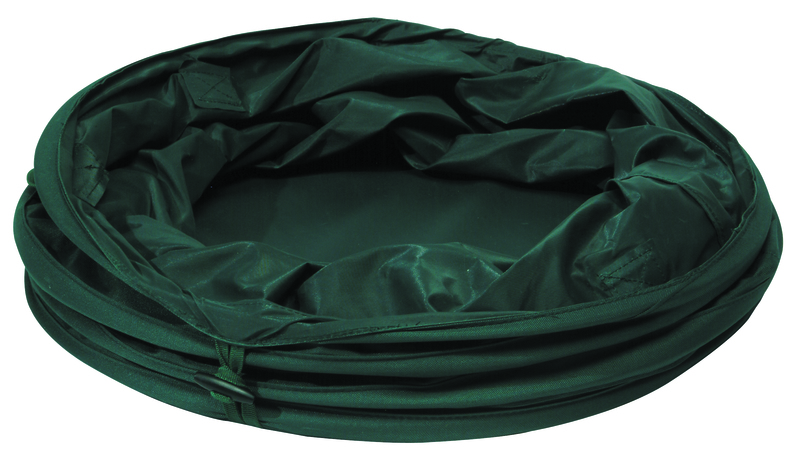 Ideal for small to medium gardens and can be used for pots, raised beds, hanging baskets, vegetables and greenhouses. 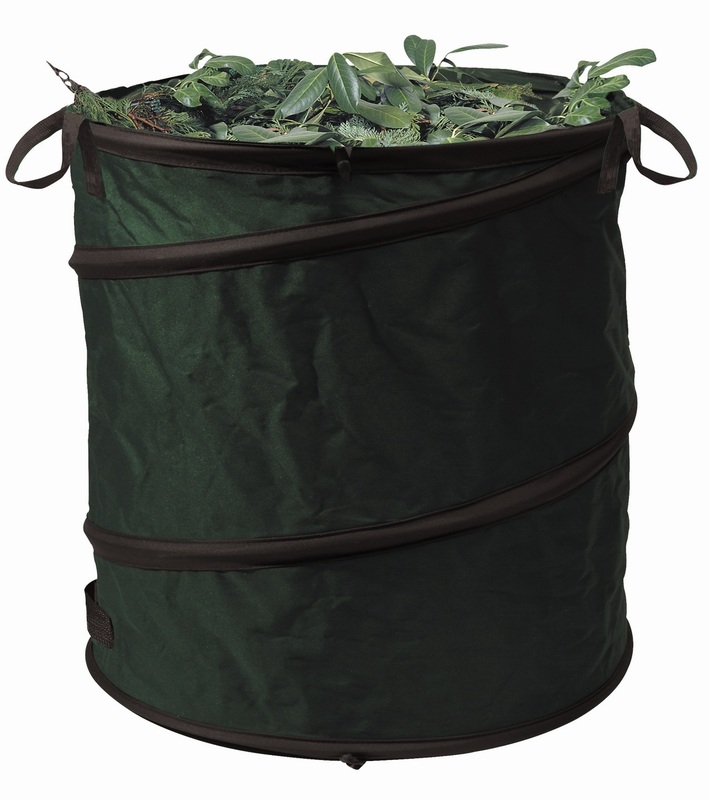 Also comes in a smaller version that will water either 5 large hanging baskets or 12 x 3.8 gallon pots.